To access Reporting settings, go to Settings and click on the "Reporting" tab. Select your report preferences from this menu. The selected report type will be visible in the email reports and in the Dashboard. Email reports will be sent to the email address that is added in your Oberlo Profile. 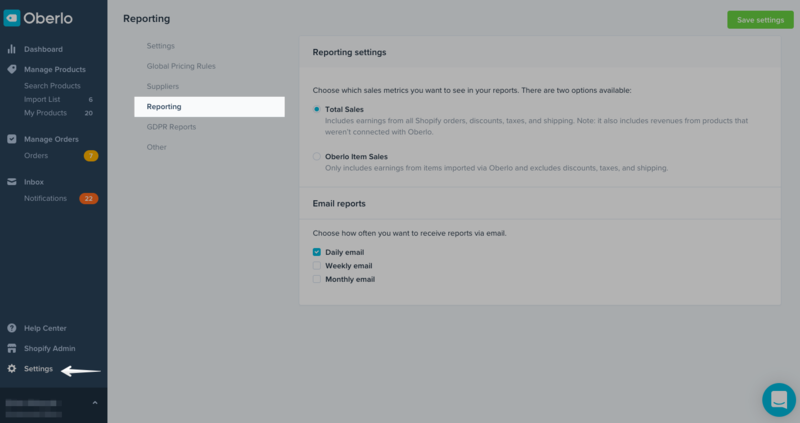 You can set the frequency of email reports.